Singapore is a food lover’s paradise where we can easily find restaurants serving a variety of Chinese cuisines – from Cantonese and Sichuan to Hokkien, Teochew and Hainanese. But when the heart yearns for Chindian food, there is only one place to go – Fifth Season Tangra Chinese Restaurant. Deepali Ray, its founder, was a senior finance professional in a multinational IT company in Singapore, who wanted to enter the manufacturing sector but ended up becoming a restaurateur. She launched a Bengali and Punjabi restaurant called Mustard which she sold off, but continued with Fifth Season when two strangers approached her as investors and put their money into her dream project. The food at this restaurant takes you to Calcutta, where this cuisine that blends Tibetan and Chinese tastes with Indian spiceness originated. Tangra Chinese cuisine is well appreciated by ethnic Chinese as well as non-Chinese in Singapore, as the range covers sweet ‘n’ sour to spicy Szechwan dishes. Authentic Bengali sweets like malpoa, patishapta, sondesh, mishti doi offer a sweet ending to any meal here. India Se: Tell us a little about yourself. What did you do before entering the restaurant business? Deepali Ray: I am a Chartered Accountant, Cost Accountant and Masters in Finance. At 22, I started my career as an Assisstant Manager at Dunlop India in Calcutta. In Singapore, I worked in the finance department of an IT industry and my last job was with Maxwell Chambers (Arbitration facilities in Singapore), in a dual role as Head-Finance and Business Development. India Se: Running a restaurant business is not easy, but what inspires you to keep going on? Deepali Ray: Running any business is not easy indeed! More so if one has worked in the corporate world for long. Passion, perseverance, hardwork, and most importantly, strong determination keeps it going. After working for 15 years it’s the passion that keeps me going. 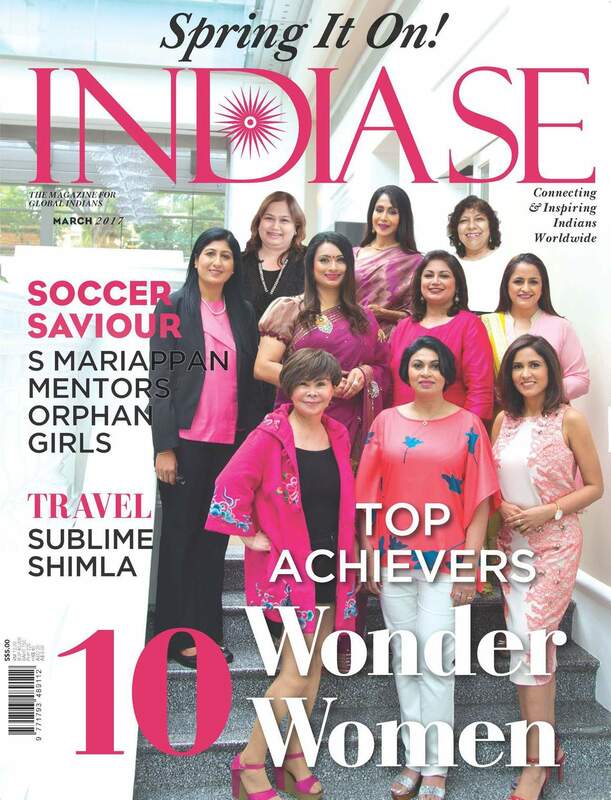 India Se: Fifth Season has made a name for itself in Chindian cuisine and is known for its high quality of food, where do you see yourself and the business in the next five years? Deepali Ray: I promoted a few concepts which included Punjabi, Bengali and Mughlai cuisines but Fifth Season Tangra Chinese worked best. This is thanks to my team of chefs and trust of my business partners who have never interfered in my decisions and concepts right from when I was not known to be ‘successful’ in this business. Our Tibetan momos won the title of ‘Best dish of the year’ at the Singapore food festival while our sauces are always appreciated. My partner, Joy Bhattacharjee, who had a long career at IBM, Singapore, has also joined me to improve the service operations, taking over the technical aspect of running it with up-to-date technology. This has helped me to focus more on food, sauces and kitchen operations, including adjusting to the manpower crunch faced by this industry. We are now embarking on packaging our own sauces and taking it across the world through the franchising model. India Se: Why did you choose to call your restaurant Fifth Season? Deepali Ray: Fifth Season is the season of love celebrated throughout the year. The cuisine is a true fusion of India, China and Tibet beautifully concocted in West Bengal, by the Chinese and Tibetan migrants espousing the true multiculturalism which Singapore is all about. Deepali Ray: I believe that one must not try and market something which is not authentic. If your product has the potential, it will have followers. India Se: What role has your family played in supporting you? Deepali Ray: My children are very appreciative of the effort I put in and excuse me for not spending enough time with them. Whenever work stresses me, my husband always ensures that I am not troubled with home affairs needing attention. This is of great help and support that I appreciate.